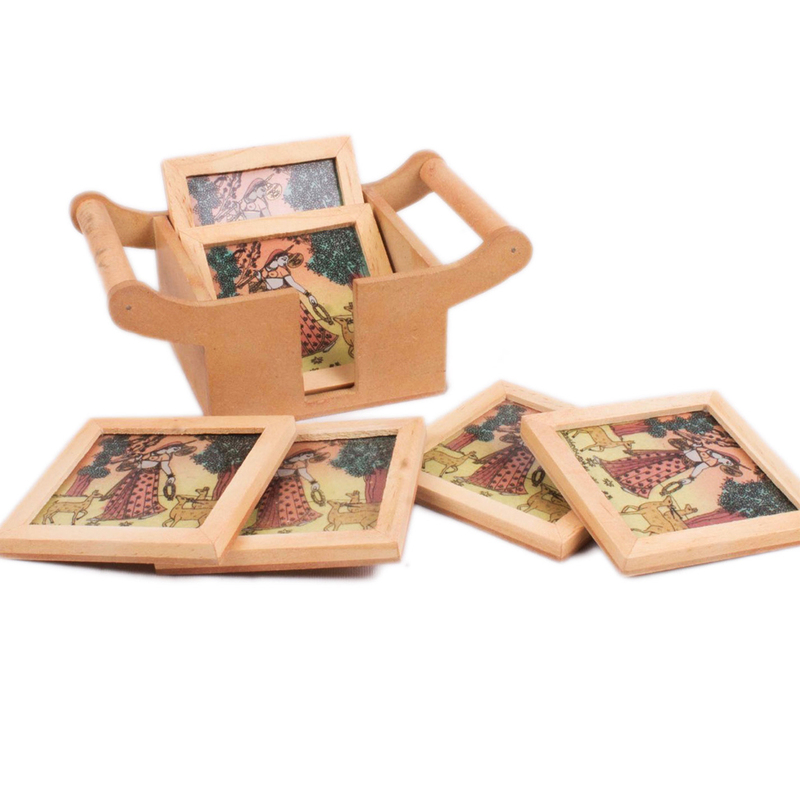 The set of six coasters all imprinted with magnificent Rajasthani art work creates a splendid addition to your dwell with its vivacity & natural advent. 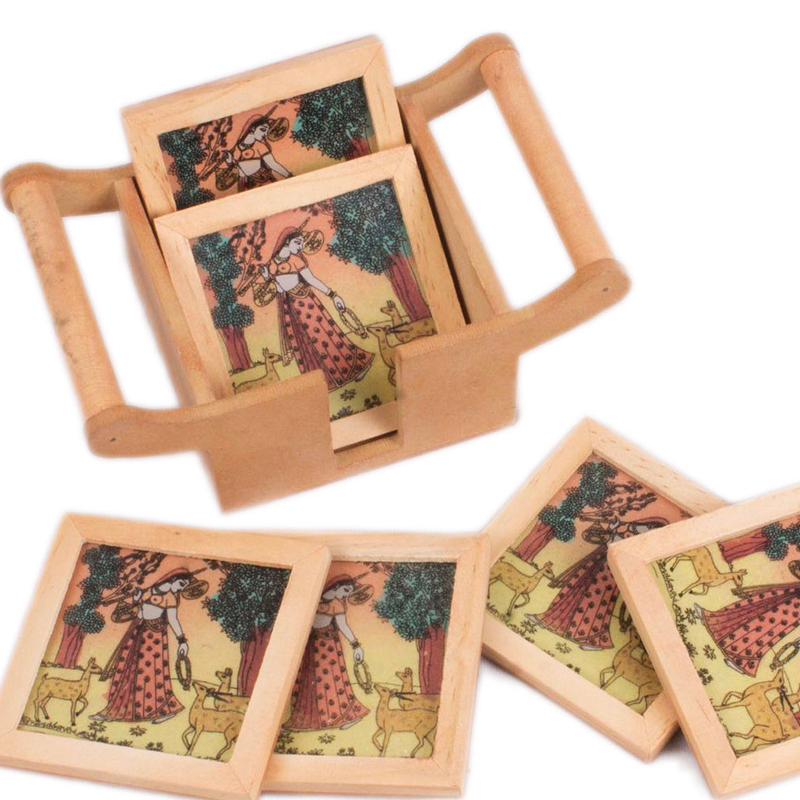 Read More..Rectangular in shape, these coasters have the painting of a Rajasthani lady on it. The different mood portrayed on different coaster truly vaunts the beauty of an Indian Woman. Made from high quality wood, these coasters look more appealing. 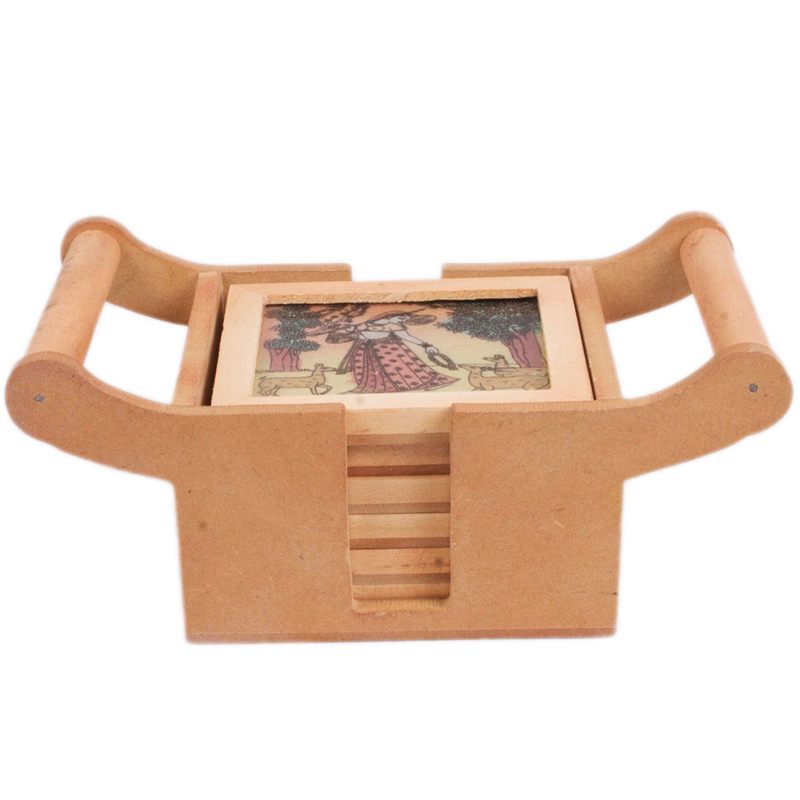 Place the set on the table & increase the style quotient of your house. Dimensionally these are broad enough to cover any size cups & mugs. Show Less..